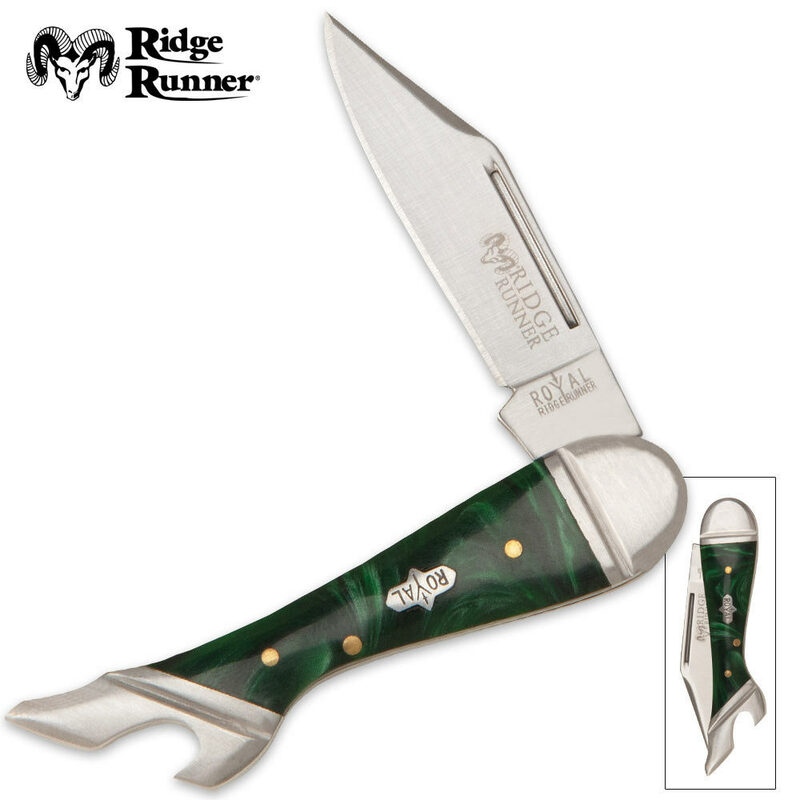 Ridge Runner Royal Leg Green Marble | BUDK.com - Knives & Swords At The Lowest Prices! This affordable Ridge Runner knife offers the same great features and functionality as those outrageously priced name brand models! The blade is solid, AUS-6 stainless steel construction. The custom green marble handles offer a beautiful pattern with a Royal shield inlay and stainless steel bolsters. 3 1/4" cl.